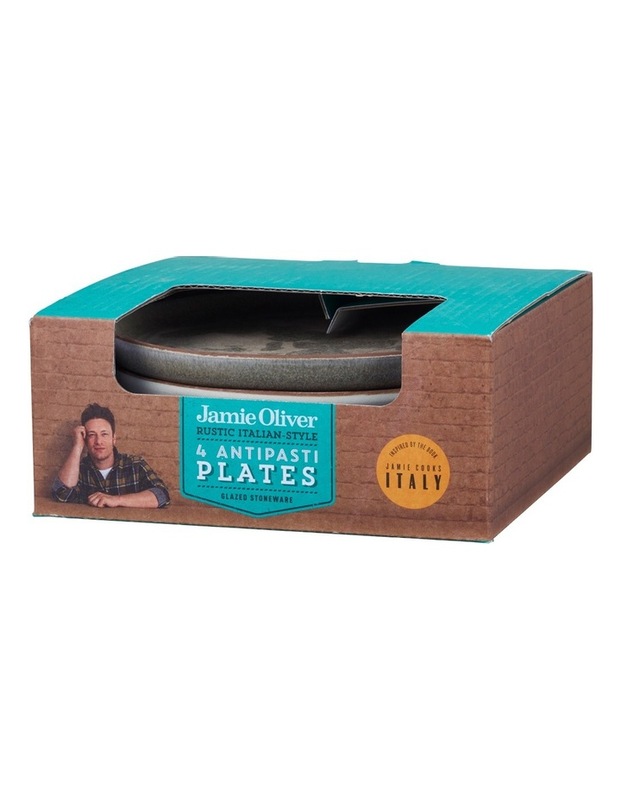 Inspired by the flavours from the dominant herbs in the Mediterranean diet, this set of anipasti plates from Jamie's Rustic Italian range contain the delicate imprint of a sprig of rosemary. Beautifully finished. 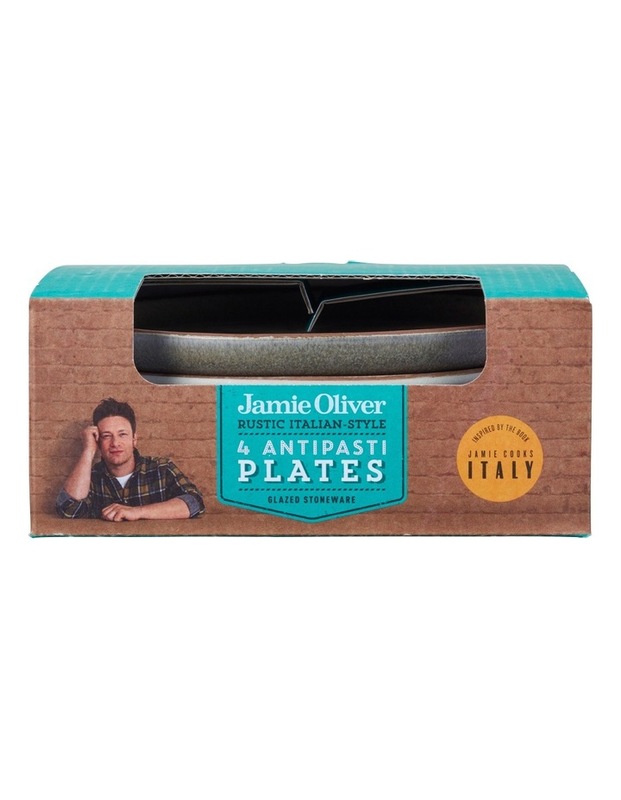 The set comes in the distinctive tones of marmo, latte, caffe and pistachio to perfectly complement the earthy flavours from this heathful diet. 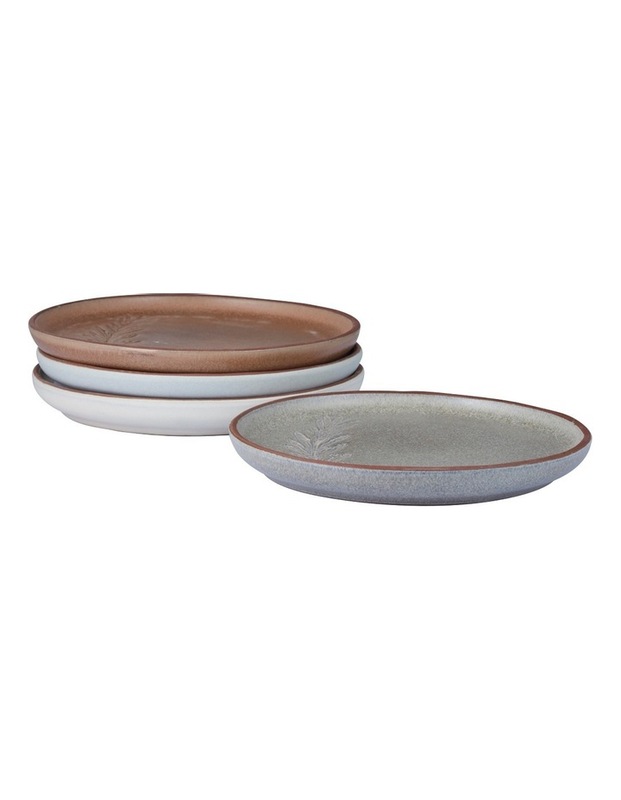 The reactive glaze on each piece provides an artisan feel, perfect for relaxing while sharing bruschetta, cured meats and Italian cheeses. 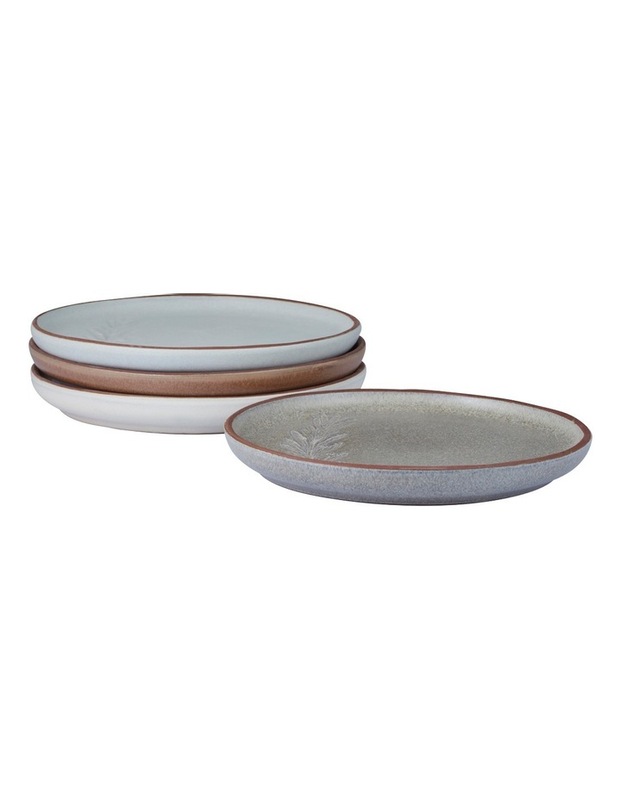 15cm diameter and dishwasher, microwave and oven safe.